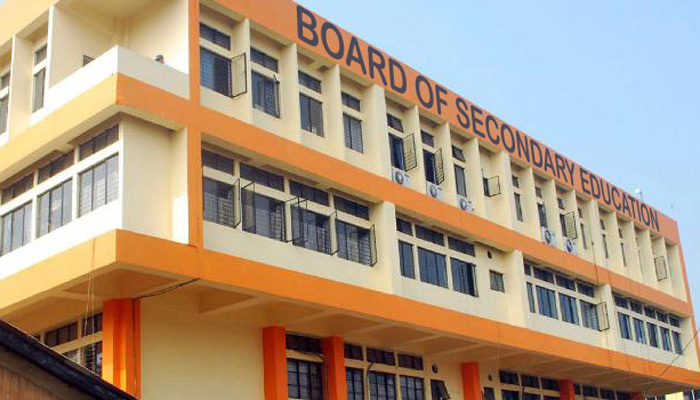 The much awaited HSLC results declared by the Secondary Education Board of Assam (SEBA) on Friday recorded second lowest pass percentage with 56.04 in the decade from 2009 to 2018. Last year’s pass percentage was the lowest in the decade with 47.94 percent. 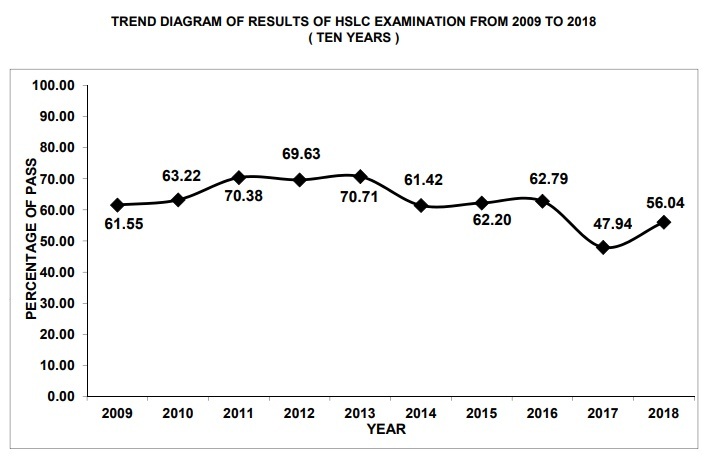 Though, this year pass percentage is higher by 8.1 in comparison to last year’s HSLC results. A total of 1,89,191 students out of 3,37,570 have cleared this year’s HSLC examination while in 2017, 1,78,656 out of 3,72,640 students cleared the examination. Year 2013 recorded the highest pass percentage with 70.71. 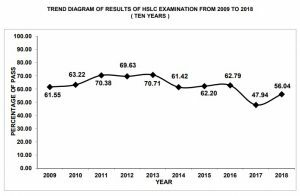 Dhemaji district topped the 2018 HSLC examination results with 79.76 pass percentage followed by Nalbari (69.85 per cent), Kamrup Metro (67.15 per cent), Barpeta (66.82 per cent) and Lakhimpur district (66.7 per cent). On the other hand, Udalguri district recorded poorest performance with 36.97 pass percentage followed by Goalpara (38.73 per cent), Karimaganj (45.22 per cent), Karbi Anglong (42.67 per cent) and Dhubri (45.24 per cent). A total of 412 students were expelled during the HSLC examination which was conducted from February 16 to March 8 this year while 6,645 students remained absent from appearing the examination. A total of 21,259 students got letter marks in General Science (C3), the highest in a subject in the 2018 HSLC examination results. On the other hand, 21,249 students secured letter marks in English (C1) and 20,955 students got letter marks in General Mathematics (C2).